The Keith Duffy Foundation would like to extend a huge thank you to the Barry Group. 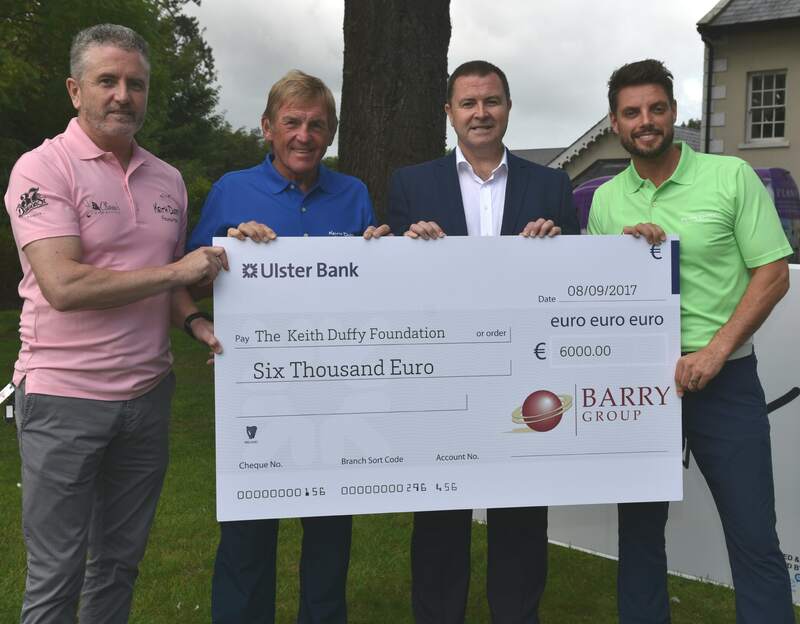 The Barry Group has proudly supported this years Keith Duffy Foundation’s Golf Classic by donating an amazing €6,000. The annual Golf Classic was held in Roganstown Golf and Country Club on Friday September 8th last. This year the Keith Duffy Foundation Annual Golf Classic 2017 raised funds in aid of two charities close to Keith’s heart – Cliona’s Foundation and Fighting Blindness.